Created a simple but not fast Easter card for this challenge using the Tutti Design Tulip Egg die. I die cut the tulip egg into a per-cut rectangle card panel several times. 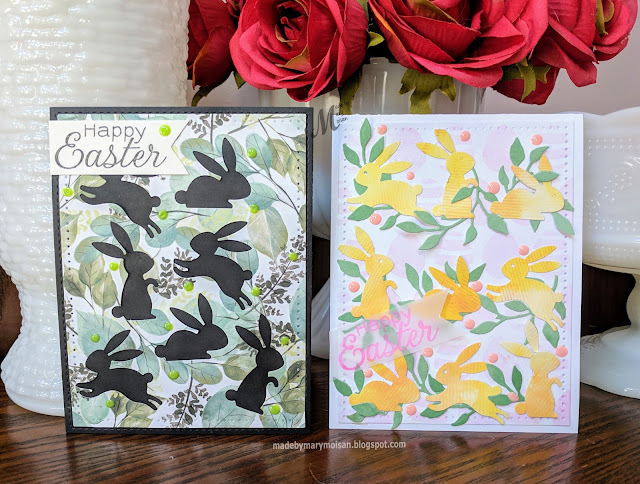 I used double sided tape to make attaching all the die cuts onto the watercolor pattern paper easier. 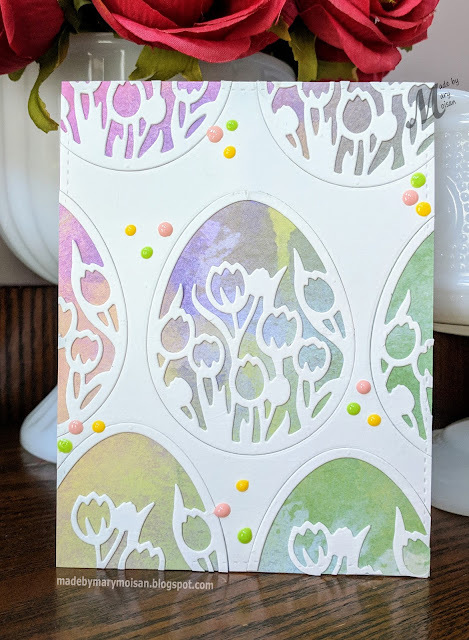 wanting to keep the card simple/clean, i just added Nuvo drops as a finishing touch. 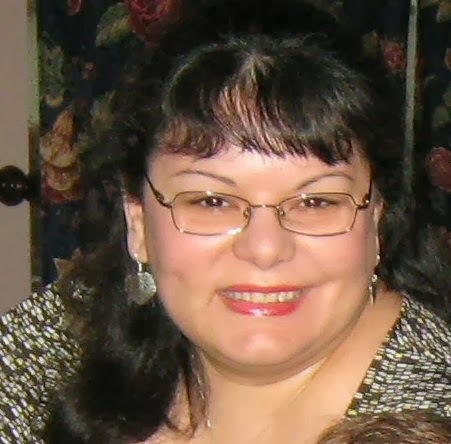 Birthday Wishes is the theme for the current Impression Obsession Challenge. I created this card for the challenge using the Verbena Blossom, which I stamped several time using masks in order to create a full floral background. 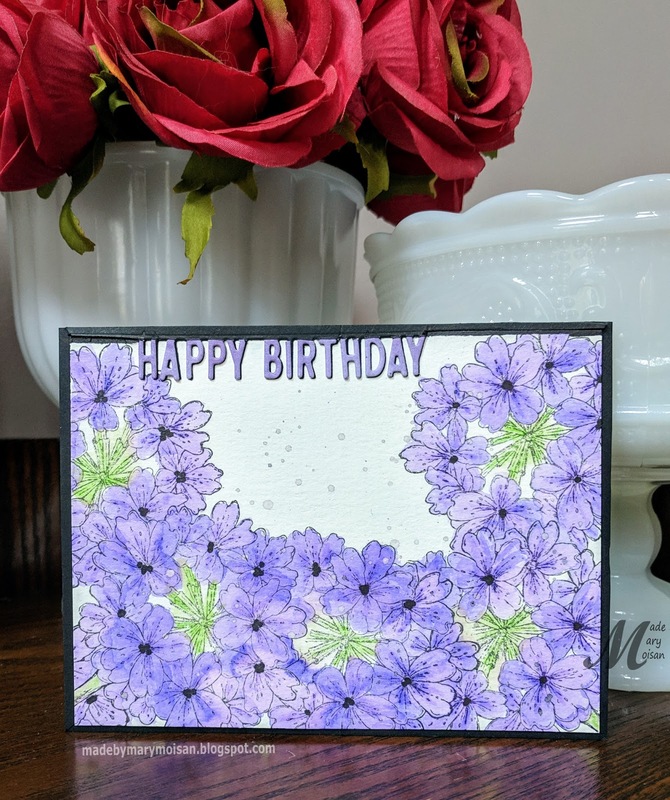 I left a section of my floral panel white, so I could placed my die cut Happy Birthday (from the Greetings Bottom Edgers die set) on it. I actually die cut the Happy Birthday twice (black card stock and Purple card stock) and stacked them a tiny bit off. I colored my flowers with watercolor pencils. 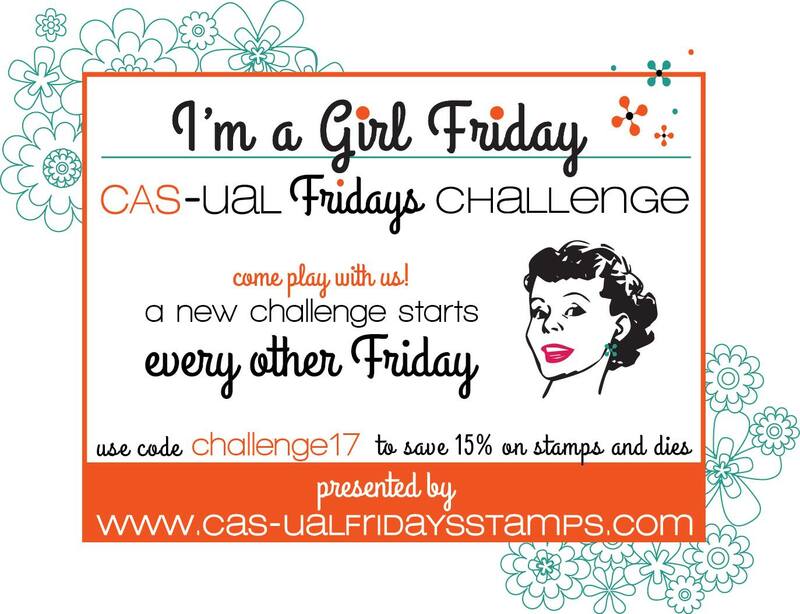 I'm submitting this card to the Impression Obsession Challenge running until April 2nd. The theme is Happy Easter. This card kind of evolved on it's own. 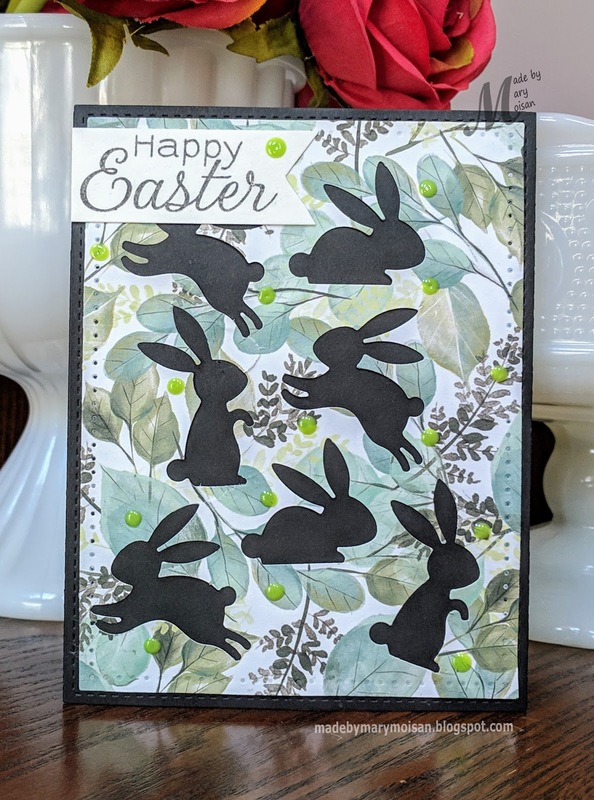 I started with the stamped egg carrots and added the bunnies around them. When I was done it looked like a section of an Easter mandala. I started this card by die cutting the Rose Cutout Border from a 8x8 sheet of ombre pattern paper and also from black card stock. 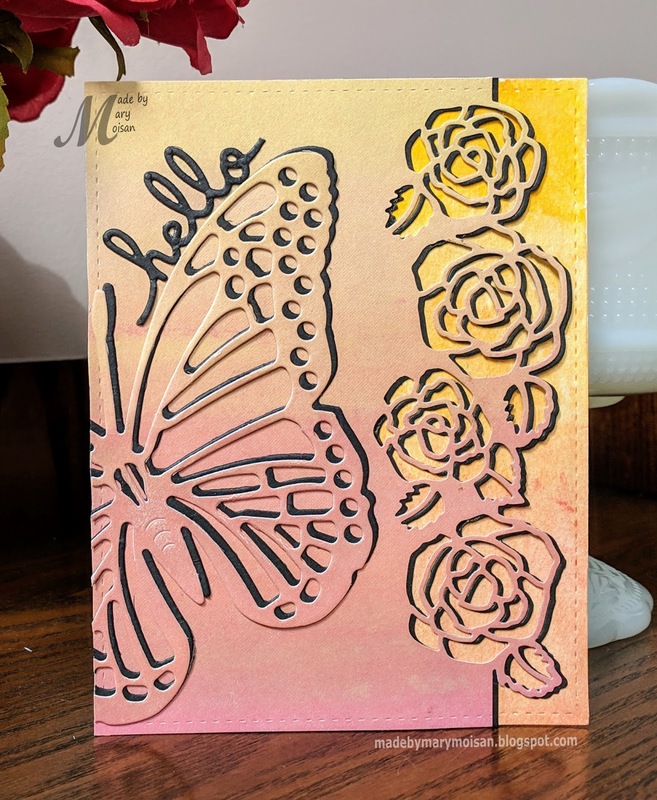 I did the same with the Exotic Butterfly die making sure the position of the butterfly and the ombre pattern matched in tone to the Rose Cutout Border section, which it would be mounted onto. 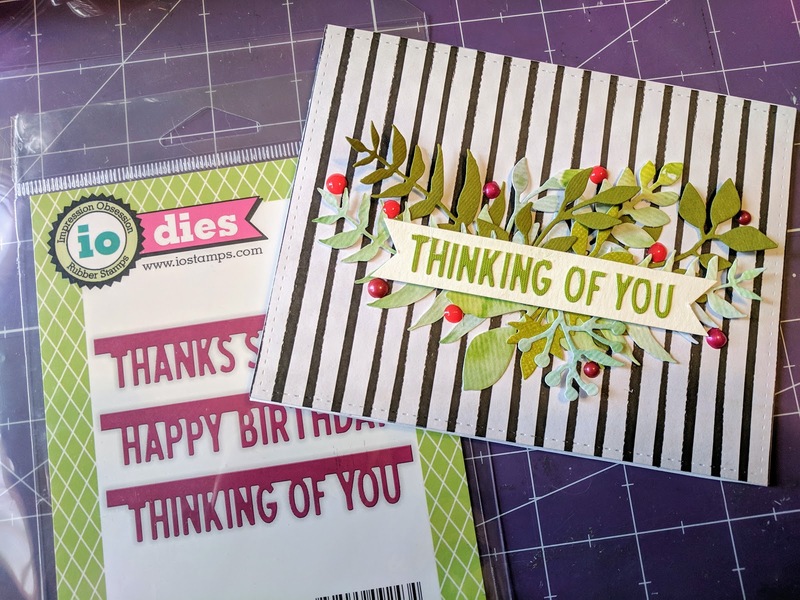 As a last touch, I added the "hello" word die from a Spellbinders set. 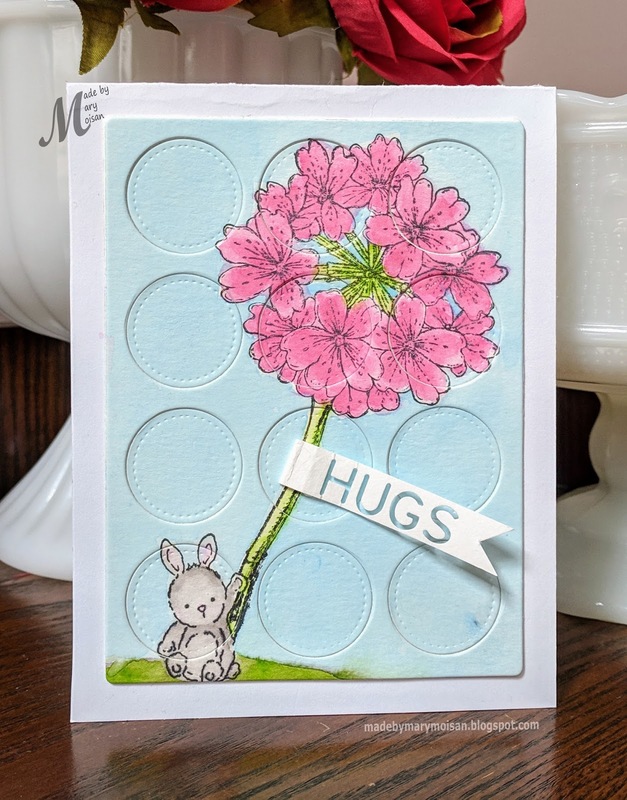 I was going to add a "spring" word die at the bottom of the card, but I couldn't find one... which gives me an excuse to go shopping LOL. 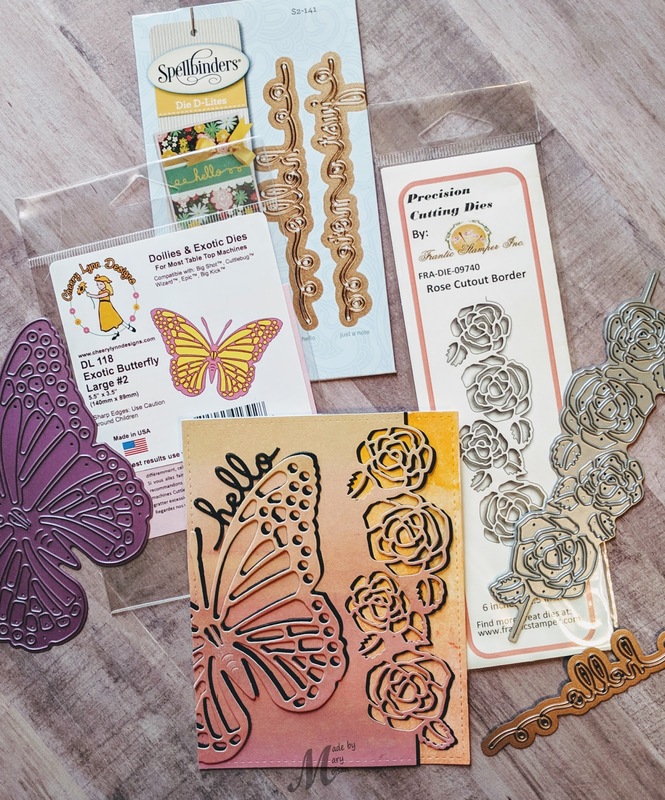 Exotic Butterfly die is not currently available, but there are several other butterflies available. I personally love that this one comes with a shadow die. Hello die is not currently available, but there are several others here. 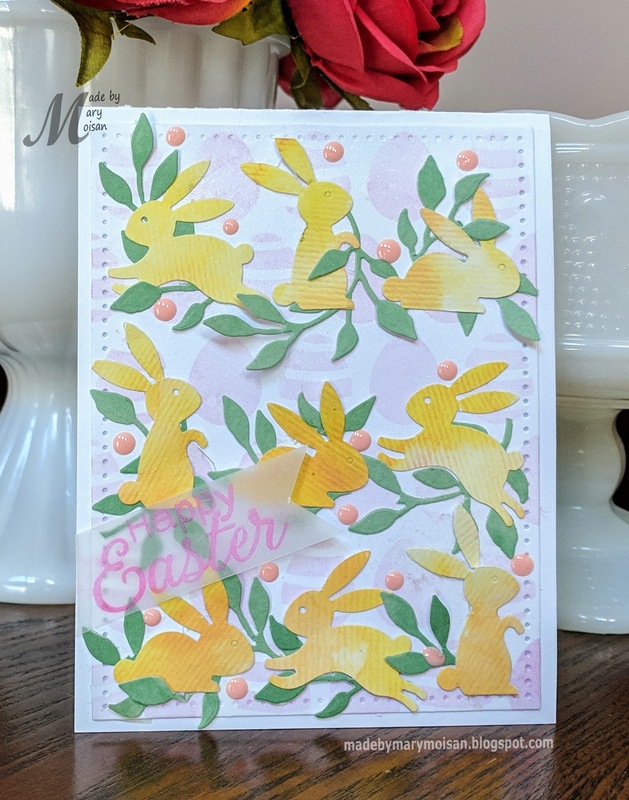 I've had this card sitting on my desk for days, and still I procrastinated so long that I almost missed entering the Impression Obsession challenge running until Mar 19th. 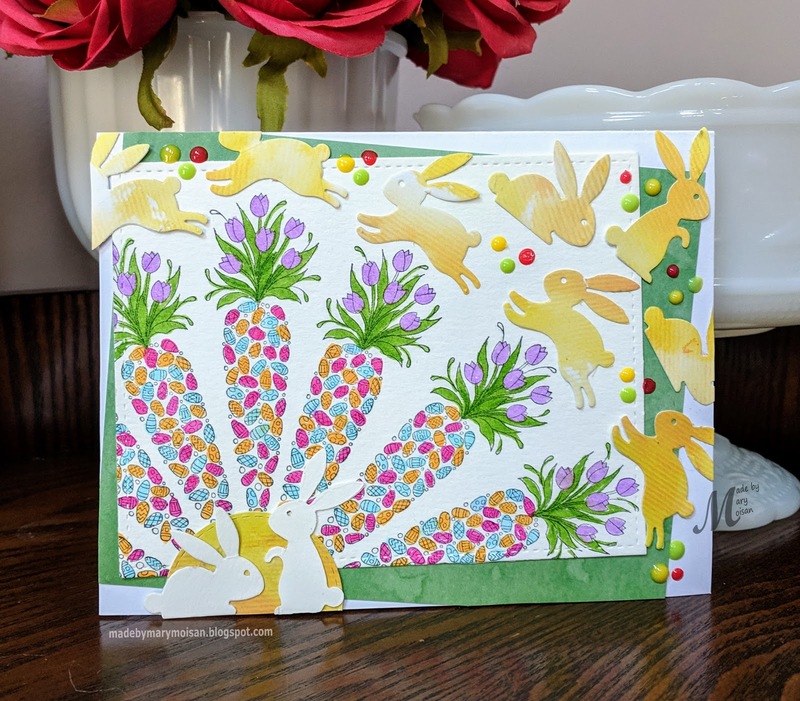 I used the big and beautiful Verbena Blossom and the sweet Baby Bunny on my card. 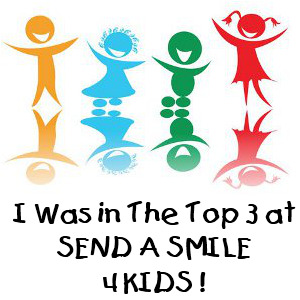 Thanks for stopping bye and wish me luck w/my last minute entry. March and the hope for nicer weather and Spring is finally here. 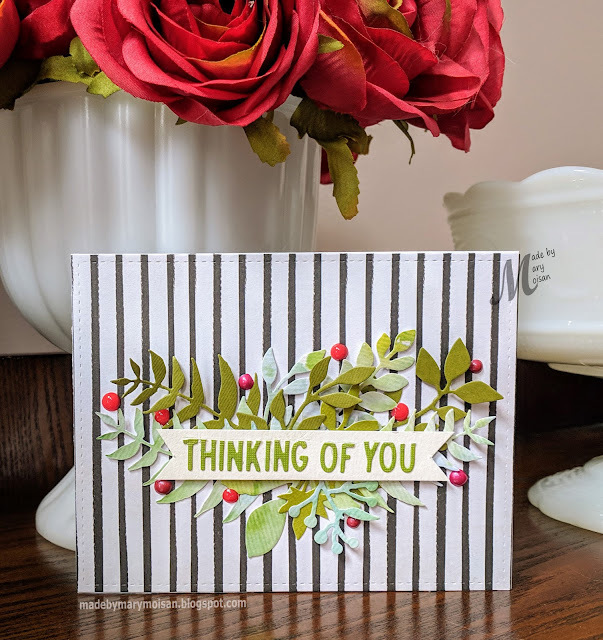 For this challenge I created a simple "thinking of you" card using the Sizzix Tim Holtz Garden Greens dies. 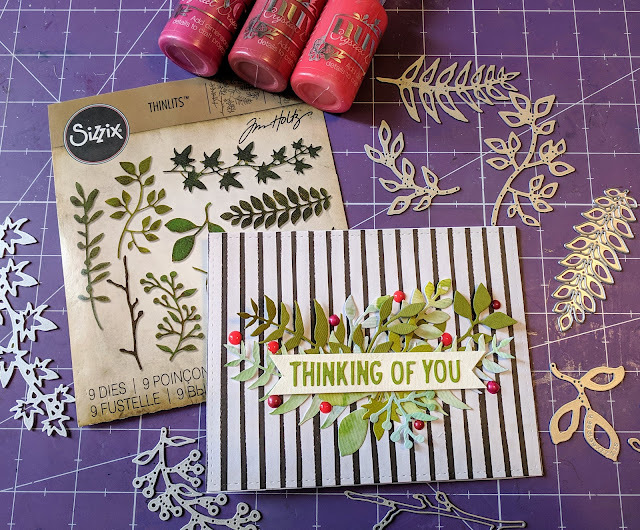 This set of leaves contains 9 dies that are so versatile, because they can be used alone or grouped together. 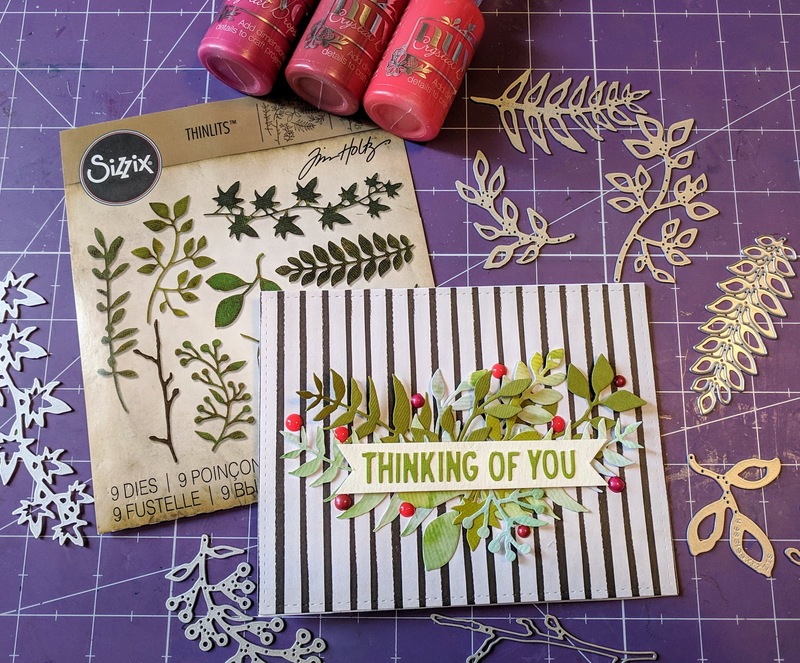 For my card i used several of the dies cut from different scraps of green card stock. I created a cluster in the center of my landscape orientated card front, which was backed with a modern black and white striped pattern paper. Next I created a fishtail banner and glued my trimmed "THINKING OF YOU" (IMPRESSION OBSESSION) sentiment onto it. Lastly for a little pop of color I added some Nuvo dots in three shades of red. 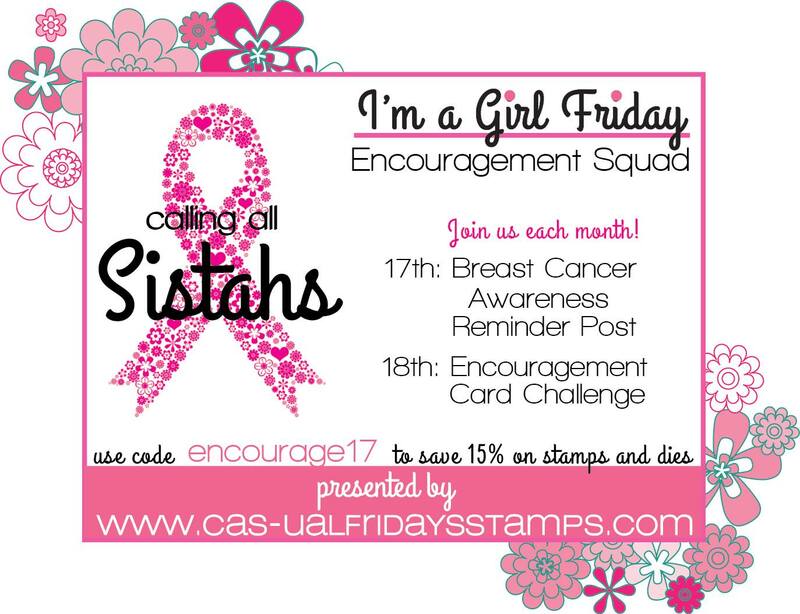 Some extra good news... we are having a Design Team Call, click HERE to get all the details.